Traveling for anyone means some sort of anxiety. Whether you’re nervous to arrive at your destination or you hate flying, we all feel some sort of anxiousness when we’re going on a trip. From business conferences to family get togethers, traveling can be a source of worry for many. One of the main sources of irritation and worry about traveling is getting to and arriving at the airport. These days you never know if getting to the airport may mean you wait in a long line to get your tickets and check your bag or if it could mean having to rush through security because the lines are horrendous. Going to the airport is always a gamble regardless of how early you get there. One way you can cut down on some of the anxiety and the unnecessary irritation you may feel about traveling is by hiring a transportation service to get you from point A to point B. With our airport transportation services, we’ll be able to help you cut down on some of the worry you may feel by getting you to the airport in a timely manner, so you’re prepared for your flight. Airport transportation is one of the most important services we provide. We want to help you get to the airport in a prompt manner and cut down on some of the anxiety you might be feeling before your trip. If you live in the Dayton or the Cincinnati area, our services will get you to the airport in a swift manner. Take some time to enjoy your trip away from home when you hire an airport service that will ensure you arrive with enough time before your airplane takes off. If you’re on the fence about hiring airport transportation services, then take a look at these three reasons below to help you figure out if we’re the right fit for you. This is one of the best benefits when you hire a transportation service to get you to the airport. Whether your plane is at 5 a.m. and you need to get to the airport or it’s at 11 at night, you won’t have to rely on someone else to get you there before the plane takes off. When you ask a friend, family member, or a coworker to get you to the airport before your flight, you’ll need to make sure they remember that they are taking you. Sometimes your ride might cancel last minute and leave you in a sticky situation. Sometimes your ride will completely forget and you’re unable to find another one in time. Regardless of the reason your ride was unable to take you, our airport service won’t leave you without a ride. Our service will get you there at the time you specify and we’ll show up at the designated time. Relying on someone else to get you to the airport early in the morning, in the middle of the day, or late at night, might result in you not getting to the airport in time to make it through bag check, security, and all the other obstacles you need to go through. When it’s just you traveling by yourself, you’ll probably need to pay for parking at the airport. Airport parking is expensive, especially when you’re leaving for a lengthy trip. Instead of spending an additional $100 or more on parking, why don’t you save your money for parking by hiring a service? Spend a little extra something on yourself instead of putting it toward your parking bill. Additionally, generally with airport parking, you need to arrive earlier than necessary depending on what lot you leave your car in. Instead of leaving earlier than you would if you didn’t have to find parking, you can wait a little longer before heading to the airport when you employ a car service to get you there. 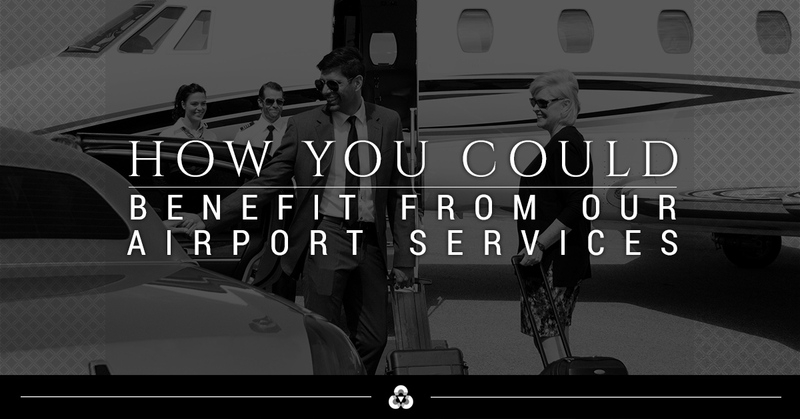 When you hire Ohio Luxury Transport, you’ll arrive at the airport on time. You won’t have to worry about whether your ride will show up or if you need to find a parking place in the lot. Instead, you can get ready and prepare for your flight at your own time. Our car service will come to get you on the agreed upon time and you can have a nice ride to your flight before you head off on vacation. Your arrival to the airport will be prompt, reliable, and even – dare we say – relaxing. Are you headed to the airport soon? Make a reservation today!